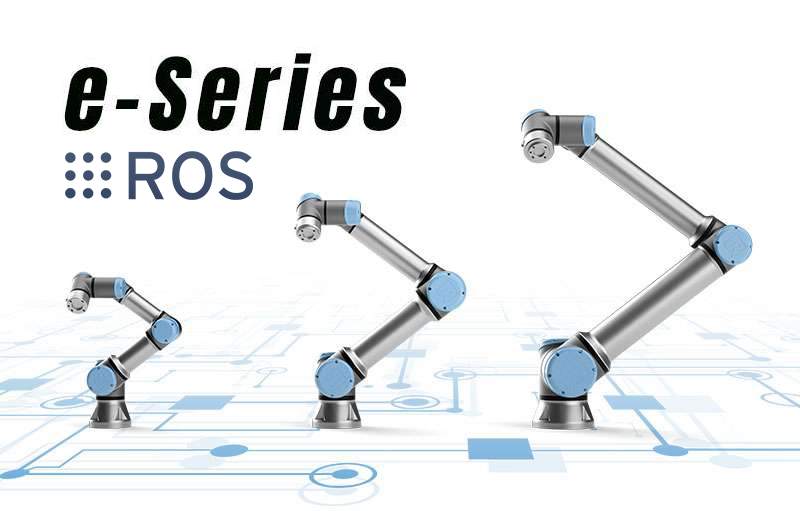 Universal Robots recently launched their new e-Series cobots, building on an industry-leading expertise with more than 25,000 cobots already deployed worldwide. The e-Series line boasts class-leading simplicity, flexibility and quick deployment capability. It is more accurate, easier to program, has built-in force-torque sensors, 32 I/Os and works with a diverse variety of Universal robots certified end-effectors, accessories and software solutions. When the e-Series cobots were launched, they did not have ROS capability or support. We worked closely with UR in developing the ROS libraries. We tested the new ROS drivers on a UR5e with software ver 5.0 and also on a UR5 with software ver 3.5 to verify backwards compatibility. All of the code is made available to the public so users can learn and verify the code (see download links below). Using ROS does not interfere with the safety mechanism of the cobot. For example, ROS can be used to command the robot to go to a certain position, but it’s the UR controller that actually makes the movement. Because of this, safety is still enabled on the robot. Clearpath offers the UR collaborative robot arms with ROS integration and support which provides turn-key accessibility to ROS development tools, sensor drivers and libraries. ROS software libraries are pre-loaded and tested with support for ROS, RViz and MoveIt! Our ROS 101 tutorials provide the information and tools you need to get started with ROS. The tutorials are designed for both beginners and advanced users of ROS. Visit the links below to download the updated packages with e-Series ROS support.